State troopers and Worcester police arrested Donald Foy, 28, of Spencer, around 8 p.m. Thursday. 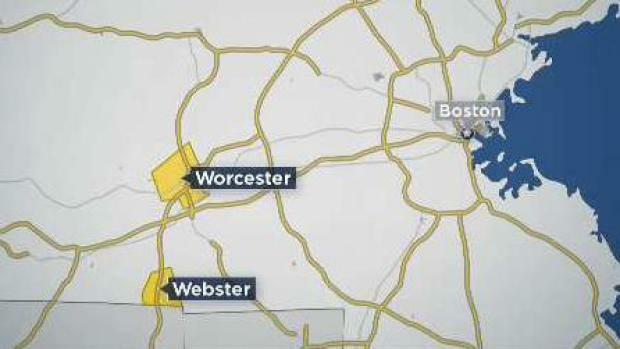 Massachusetts State Police have made an arrest following a search for a man who allegedly led officers on a chase from Webster to Worcester before carjacking a vehicle at gunpoint overnight. State troopers and Worcester police arrested Donald Foy, 28, of Spencer, around 8 p.m. Thursday. Foy, who police considered a violent fugitive, was wanted for an armed carjacking early Thursday morning on Route 290 in the midst of his attempts to evade capture by driving the wrong way on Routes 395 and 290 in the Worcester area. During their search, troopers developed information that led them to set up surveillance outside a Hudson Street apartment in Worcester after learning Foy might be there. While in the process of obtaining a warrant for the apartment, another trooper observed someone fitting Foy's description exit the residence wearing a hoodie and get into a small Dodge vehicle with North Carolina plates. Authorities were aware Foy had ties to North Carolina and began following the vehicle. 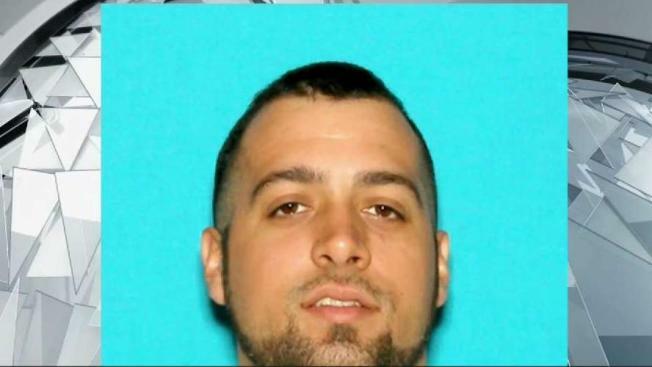 Officials are searching for a man who allegedly sparked a pursuit from Webster to Worcester and carjacked a vehicle. Once officials confirmed that the man in the vehicle was Foy, they converged toward him, at which point Foy put his vehicle in reverse and intentionally swerved at a trooper, striking his foot. Foy then rammed into a State Police cruiser and fled the area with troopers and officers in pursuit. Foy ultimately turned into the Worcester Auto Center at 115 Chandler Street. When he realized there was not a rear exit in the lot, he intentionally backed into another State Police cruiser, crashed through a metal gate and drove around the back of the building. Foy then exited his vehicle, fled on foot and ran onto the roof of the Auto Center while being pursued by police. Authorities say a violent struggle ensued on the roof before Foy was ultimately subdued and apprehended. "The tireless efforts of State Troopers and local police officers have taken a violent fugitive off the streets before he could victimize someone else," police said in a statement. Following his arrest, Foy was taken to the State Police barracks in Millbury where he was booked and will be held until his Friday morning appearance in Worcester District Court. It's not immediately clear if he has an attorney. Foy is facing the following charges stemming from his apprehension: attempted murder, four counts of assault and battery with a dangerous weapon, resisting arrest, failure to stop, three counts of assault and battery on a police officer, negligent operation, motor vehicle violations, and malicious destruction of property. He is also facing charges from Thursday morning's incidents, including a warrant for armed carjacking-firearm, carrying a firearm without license, assault with a dangerous weapon, assault and battery, receiving a stolen motor vehicle, possess of a counterfeit note and motor vehicle violations. The earlier incidents began around midnight Thursday when State Police say they alerted Oxford police they were in pursuit of a Dodge pickup truck whose driver had fled from a vehicle stop in Webster. Police in Webster say the chase started when an officer checked the registration plate of the pickup truck, which came back as unregistered, and Foy sped off after officers decided it had to be towed. The suspect vehicle, which had three occupants, including Foy who was allegedly armed, traveled on multiple routes before a trooper was able to damage its tires using stop sticks. About 15 minutes later, the suspect vehicle went up the ramp to Route 290 eastbound in the wrong direction and crashed. Foy allegedly exited the vehicle and brandished a handgun at a silver Buick Enclave, forcing the driver from the vehicle, state police said. Troopers located the Buick in Worcester and engaged in another pursuit. The suspect vehicle traveled the wrong way on Route 290 west, at which point police said they terminated the chase near the Kelley Square area. Two female passengers from the initial pursuit remained in the pickup truck after the crash and are in custody for questioning to determine if they will be charged.